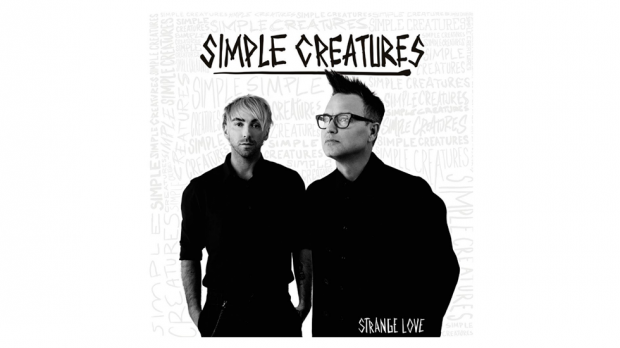 Recently formed pop-rock outfit Simple Creatures is the side project and joint forces of Blink-182 bassist/vocalist Mark Hoppus and All Time Low frontman/guitarist Alex Gaskarth. Not long after hitting the scene early 2019, the duo has just dropped debut EP Strange Love. Drawing heavily from influences like The Cure, new wave and 80s synth-pop, the duo has largely set aside their respective band’s signature sounds and headed in a more pop-centric direction. Although maybe not the desire of their current or past fan bases, they have certainly achieved it. 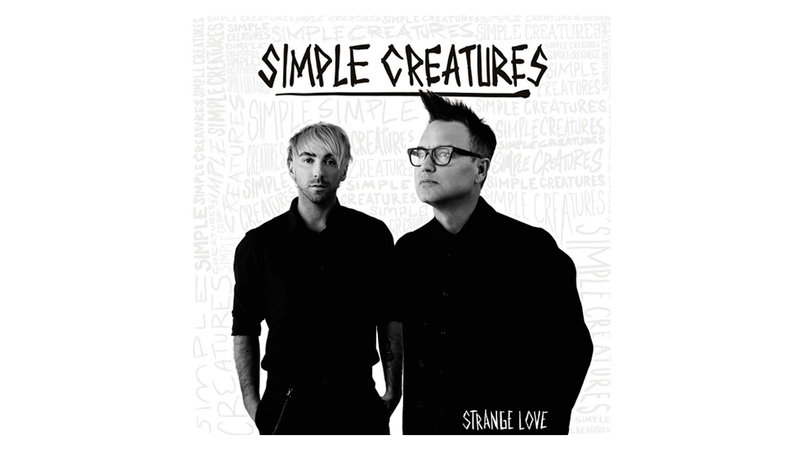 With Hoppus on bass, Gaskarth on guitar and shared vocals, Simple Creatures has an upbeat synth ingrained pop-rock sound, embedded with a darker edginess. Or “trash-pop”, as referred to by the duo in a recent interview. Thematically the EP fosters some darker themes over moodier tunes to the usual glitz of mainstream pop. It’s not all dark and emo though, it’s still very pop-oriented and they manage to give each track a fun and uplifting sound – think Twenty One Pilots with looser beats. EP opener and debut single Drug is almost exactly what you’d expect from the duo, a tasty uptempo mashup of Blink and ATL. It’s catchy and hooky, with similarities to their respective bands, yet different enough to not be too similar. The upbeat tempo and “na-na-na’s” are likely to go down a treat live. Title track Strange Love and follow on How to Live are mellower; catchy, but a little cringe-worthy in their very poppy mainstream top 40 sound. Thankfully, Strange Love is saved with a neat beat, though How to Live seems to lack energy and just feels plain. Neither quite hit the mark and are a little underwhelming for an old school Blink fan. A thankful tempo increase comes with Adrenalin, which opens with a neat video game-esque tone that rolls into some slight movement inducing beats and mild head nods, but not much. Synth and electronic drum-driven Ether sees Hoppus take the lead vocals in another slow track. Like the previous mellower tracks, it seems to lack the expected energy, but unlike them, this one works better. Closer Lucy is another synthy pop track but the faster tempo and grittier sound is a bit more along the lines of what most listeners would probably be expecting from them with its slightly more rebellious sound. Don’t approach the EP expecting old school Blink or ATL, you’ll be sorely disappointed, but keep in mind that wasn’t the desired trajectory of Simple Creatures. Strange Love needs to be encountered with no expectations, it’s then there can be a greater appreciation of its offerings. Overall, despite the grittiness of Simple Creatures, Strange Love just feels too much like just another pop-rock release. Another mainstream radio, top 40 fuelling, bucket of tracks which, despite their edginess, probably won’t be overly appealing to broad audiences long term. While it’ll be appealing to some, I’m not sure big things should be expected from Simple Creatures and there’s a feeling this EP will become forgotten over time. The self-labelled trash-pop starts to makes more sense, but let’s face it, everyone enjoys a little trashy pop music every now and again.